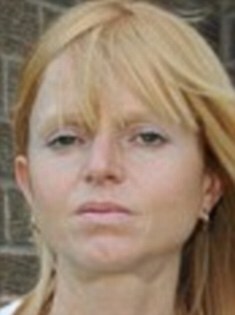 A mother who applied to help out at her children’s school was wrongly branded a violent junkie by a bungled CRB check. Amanda Hodgson, right, applied for the checks so she could help at break times at the school where her children were pupils. Weeks later she was horrified to receive a letter from the CRB claiming she was a recovering heroin addict who had assaulted police officers. The law-abiding mother of two had applied for the post of welfare assistant at the school after staff said she would be perfect for the job. They then told Mrs Hodgson, of Preston, Lancashire, it was up to her to prove her innocence. The CRB investigated but said they could not be sure she was not the person named in the report. Mrs Hodgson produced documents to show that she had only taken the surname of Hodgson after she married in 1993, four years after the first offences she was accused of had been committed. But she was told that even this was not sufficient to prove her innocence. Mrs Hodgson’s fingerprints had to be checked against every unsolved crime in Britain to clear her name. Even then it was weeks before she was cleared for the voluntary work at the school. People branded criminals incorrectly have been paid £1.9million in redress over the last five years. Nearly 12,000 people have been wrongly convicted according to figures published by campaign group Big Brother Watch. Figures showed the most common errors involved information being disclosed by local police forces or the police national computer. In 3,519 cases, the wrong person’s entry on the police national computer was disclosed, BB Watch said. The figures were obtained from the Criminal Records Bureau (CRB), which recently merged with the Independent Safeguarding Authority to form the Disclosure and Barring Service (DBS). According to the CRB’s annual report in July, 4.1 million checks were carried out in 2011. BB Watch director Nick Pickles said: ‘Every error has the potential to ruin someone’s reputation and career. He added: ‘The police hold a vast amount of information, from photographs to written notes, and the way forward must be to bring this murky system out into the open and ensure that only information that is absolutely necessary is held. The DBS was not immediately available for comment. BB Watch requested the number of disputed CRB disclosures upheld in favour of the applicant between August 2007 and August this year. The upheld disputes fell under the Department for Education, Independent Safeguarding Authority and the Criminal Records Bureau. But the highest volume of upheld disputes were as a result of ‘local police force information disclosed by the chief officer’, the police national computer identification number not belonging to the applicant and the police national computer information being inaccurate.